For more than a decade Ottawa’s Kevin and Lisa Haime have hosted the Kids to The Course Classic at the Eagle Creek Golf Course. 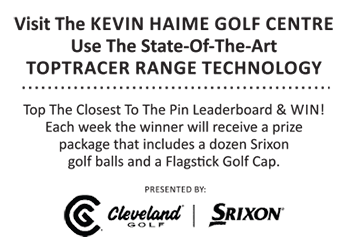 The event is an important fundraiser for the Kevin Haime Junior Golf Initiative which has raised hundreds of thousands of dollars and purchased more than 600 memberships for junior golfers in the region. Prior to the start of this year’s event, Kevin Haime took some time to share thoughts with us. Click play to here to play the chat.